I have a weird issue with Nomacs. When I copy an image, its path string is copied instead of actual JPG. What should I do to enable copying of actual image? Hello, when I change an image in fullscreen (next/prev) there is a transition animation, can I get rid of it so images change immediately like in not fullscreen mode? I love using Nomacs 3.12 but I have a couple of problems with it. As I use a dark theme the icons on the toolbar and other panels are difficult to see. Is there any way for Nomacs to detect a dark theme and have it use lighter colored icons. Also, I would like to see text of the icon’s function under the icon, not just highlighted when the cursor is over it. There is more than enough room on the toolbar horizontally to do this. After I close the last tab, the file’s information remains in the window’s title bar. Support for flif image format? Please could you tell me how I can uninstall nomacs-3.12.1 on a windows 10 Acer Aspire ES 11 laptop. The program folder unzipped to This PC: Documents. It does not appear in the apps list with the choice of ‘uninstall’ even though I tried moving it there temporarily so I have no idea how to proceed. I should have been thoughtful enough to add a few comments. I think nomacs is a very nice, uncomplicated piece of software. It is much appreciated after slogging through GIMP. One thing I often use it for is to invert the colors on oscilloscope images. One of the people I work with is colorblind and cannot discern the difference between two of the trace colors when multiple traces are up. Inverting the image lets him tell the difference between the traces and saves on printer ink (black background) if I print the image. I think a useful feature would be the ability to add text to the image. Every time I open images from USB flash drive, and close the program, I can’t remove the flash drive. It’s still in use. Does software clear cahe after beeing closed? Or what is the problem? After using ristretto for years, I’m loving nomacs . . . thanks! With the thumbnails on the side of the window, is it possible to configure the image size so that it _doesn’t_ overlap the thumbnails? Where is the thumbnail cache stored? Also, can you recursively cache thumbnails in a folder? Why is it not an option to cache thumbnails in files, to improve loading speed? we strictly don’t want to mess around with the local system (i.e. by creating a database). However, nomacs makes use of embedded thumbnails which can be computed using Tools > Compute Thumbnails. I have 32-bit Windows 10. No download is available for 32-bit Windows for the latest version on the Download page. Will it be available anytime? building nomacs with 32-bit is very painfull since we use visual studio 2017, that’s why we discontinued the support – sorry! When I click on file from explorer it’s opens behind the folder. How to change it? I want that window appears in front of folder. this should not happen – which window manager are you using? This is a fantastic piece of software guys! I’ve been using Fastone for the past 4-5 years, and the lack of multi-instancing was starting to get to me. Bumped into this through a reddit thread and wow, I’m in love. From the frameless window with thumbnails, to adding notes- it’s almost like it was made for me. I’ll donate as soon as I find a way to do it from india. Just wanted to compliment you guys for the beautiful work. Thank you! Hay sorry if I’m just to stupid or something and I’m overlooking the function or setting. I whas wondering why my original file gets “deleted” on editing the photo. The problem is I mostly hit Rong but tens before I hit the right one.. Now some foto’s are just lost. Also can I disable tabs? I just like to have 1 window open. Thanks for all the rest of the program. Really liking the style. Im tryid to replace 3.6.0 ver with 3.8.0. First I uninstall 3.6.0 and tried to install 3.8.0. When tried to run app keep telling me that VCOMP140.DLL is missing from my computer (Win 7 32b). Now I cannot install neither version, can you guys tell me what’s wrong? thanks. P.S. Love Nomacs, great software. Im having the same issue I would love some tips on how to clear it up. sayın yetkili, merhaba. nomacs 3.8.0 9/11/2017 versiyonu yükledim.çalışmadı! işletim sistemim Windows 10 . Is it possible to add resolution ratio message to File Info panel? – Is this software free for business (company) or not? – is it possible to change a theme (icons bigger and in colour, dark theme, …)? – nomacs is free for business too. I was looking for option where I can change each icon. Where can this stylesheet.css file be found? Can icons be in a separate folder, so I can change them? This software is the best free alternative to use. Thank you. Are there any exclusive advantages to using 64-Bit version of this App ? I have a 64-bit Win 10 OS but the PC configuration is not appropriate as per Standards! Can I install 32-Bit version of this App? Will there be any limitations to this approach? Thank you, Regards from — New Delhi, India. Sorry but crop command is function ? I press C then select and then ???? Enter or what ? I did not find hoe to crop. I use nomacs in Arch Linux. I tried many other image viewers for Linux (eog, xviewer, gthumb, Pix, PhotoQT, Ristretto, Mirage, etc. etc.) but yours is clearly the best – by far!! Congratulations for this outstanding achievement! (3) A crop selection rectangle which stops at the image edge (in order to quickly change the aspect ratio of photos to avoid fiddling on the edges not to loose pixels). Again, absolutely outstanding job, especially including the coding quality (not a single crash since I am using nomacs)! Wouw! Hi! I’m looking for a viewer that I can start from command line, it overlays fullscreen over the mediaplayerclassic (playing in fullscreen) to show an image for some seconds, then close itself. It would be great to have some soft transparency/fade start, and soft close back to the video. I need it to advertise some events. Is it possibile to do it with Nomacs? 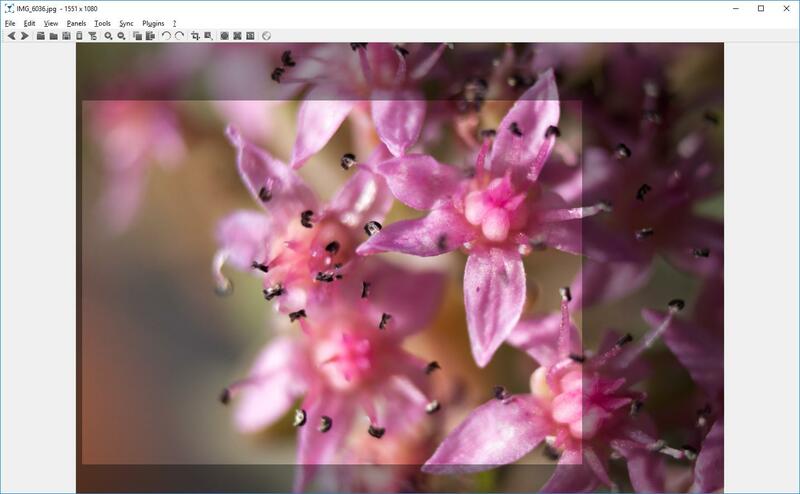 this is possible: create a fully transparent image & open it in frameless & overlay mode with nomacs. then set the slideshow timer such that your image (which is placed in the same folder as the transparent image) appears at the correct time. setting the fade effect in the slideshow settings (preferences) should do the rest. Hi, can’t find any information about ICC color profiles, in files and of monitor/OS, and its support by your software. Sadly. Please, inform is your software/viewer fully color managed ? Hi, how fix a position of adjustment panel? I wont on the right but default position is top after rerun. I’m so happy I found this program. It’s nearly PERFECT! Intuitive, does basically everything. Thank you so much for making it! Hey guys, do we have chances to have nomacs on Microsoft Store for Desktop? I have seen that UWP apps. They runs much better than win32 api. Any chance we’re ever gonna see good ol’ Windows Photo Viewer’s feature of snapping the edge of the pic to the edge of the monitor instead of dragging it all over the place in full zoom? That’s the only thing that irritates me when I open multiple images. How did I finally discover nomacs for the first time after about 15 years of using Linux? 🙂 It’s really a great little piece of software, does exactly what it’s supposed to, lightweight, and no frills. Very well done guys! I dont often make the effort to say thank-you, but nomacs is an exception. I’ve been looking for a fast and simple tool on Linux for ages, and nomacs does exactly what I want. For me, simple is best. I just want to minimize the size of photos I take before sending to websites or on e-mails. Nomacs is a poor cousin of FastStone Image Viewer. Notice nomacs has no auto hide on the thumbnail preview or file transfer options like Fast Stone. FastStone Image Viewer is free and smaller portable size. your attempts to promote second-grade spyware are funny. Im getting greyish daked out borders around some of my images (see image below). I’m guessing this feature is poining out my inability to compose my frame… how do I turn it off? Check out FastStone Image Viewer. It busts a hole in nomacs rump in terms of features and ease of viewing! i am trying to deploy nomacs 3.4 to some of our clients. Unattended installation is fine but i did not get it how to add plugin installation to the js-script/install-script so the plugins will be installed together with nomacs. On 3.8.0, where is this registry key ? The Android apk will be released? Hey there, I do not understand much about Windows 10 software, but is it possible to easily change your program in a way that one can install it without admin rights? After all, it works for Google Chrome. Thanks for the good work though! yes you can install nomacs into a User Folder (not C:\Program Files) without admin rights. Hi) I’ve tried to use it, but it said “This application failed to start because it could not find or load the Qt platform plugin “xcb”. Install was fine, but the starting was not. I just came across nomacs, looks good and I am exploring it further. I am a minor contributor to the exiv2 project, mostly I have added support for additional XMP schema’s such as DwC and LR. Your Image Lounge installer is so stupid, it blocks after it has downloaded about 20 % of the archive. I tried it about 5-6 times, on a 2-3 days time lapse. So Good Bye Image Lounge. Gizmo Freeware may consider it as one of the best 64 bit free programs, it doesn’t worth a try with a disable installer/downloader. I will stay with Zoner. At Least, it is possible to download it completely and silently with Free Download Manager. FDM can handle connexion problem on is own way and restart download when connexion fails. Efficient download and efficient install are important, even with free products. well I am sorry to here that the installer has problems – which operating system are you using? it is possible get old file icons or select it on preferences? Congratulations to your great open source software. I’m willing to donate some money. However, I don’t trust Paypal services, in particular in the light of the European Court’s decision on security of data. Is it possible to get your account data (account holder, IBAN, SWIFT-BIC) and a keyword (like “donation” or something like that) for easy direct money transfer without the need of giving my data to any 3rd party outside European Union? Thank you. I am looking for the themes/skins. There’s no problem with the defaut theme on nomacs, but I think in the possibilitie to changing the main theme for another… For example, changing the main theme to the Tango (http://tango.freedesktop.org/), It’s an cool way to make the program looks like the user preferences. If possible, will appreciate much more this program. I’ve just downloded nomacs image lounge, i’m very curious because this little software seems to me a very good alternative to other most famous application. I give it a try and then i send you my opinion. For now thx for your work and have a nice week-end. das Programm gefällt mir sehr gut, auch das es als portable Version erhältlich ist. Einen Punkt würde ich mir aber noch wünschen. Das man beim Zuschneidewerkzeug die Breite und Höhe in px eingeben kann und dann in dieser Größe das Bild zurechtschneidet. Just a quick question I may be missing a trick but is there a way to bypass the print preview screen when printing images? currently there is no possibility to bypass the print preview dialog. The idea is good but the problem is that imho every user will except a different behavior for printing (especially concerning the dpi of the image (some images don’t have this information stored in the meta data and we have to guess), landscape/portrait mode a.s.o). If you have a suggestion how to satisfy everyone we will think about implementing this option. I’ve been impressed with this little program so far. One thing I’ve been looking for in an image viewer but only xnview has it, is the use of tabs, but even there is lacking in functionality. I would love to see a more robust use of tabs in an image viewer, like the tab system in firefox or chrome, and be able to save the session with all the tabs, even with multiple instances. You guys ever considered that option? I am the one who posted this. I would have replied sooner but I have been without internet access. Marcus asked me how I knew that nomacs used 2×2 subsampling. That’s easy. I saved a JPEG in nomacs then opened it in IrfanView and looked under Image Info. It is really unfortunate that it is not straightforward to implement. I used to use FastStone Image Viewer for cropping, resizing and saving the final JPEGs. Your area resizing option is much better on my test patterns than the best of FS’s which is Lanczos 3. The Lanczos algorithm has ringing problems. So now I use nomacs for cropping and resizing and save the results as a PNG which I open is FS to save as a JPEG with no subsampling. I was hoping to be able to eliminate FS Viewer, but I guess that won’t be happening. Any how, thanks for a great program. thanks for the reply. as stated here: http://nomacs.org/redmine/issues/377 it will not be easy to add the subsampling option. however, we will have a look at the library and see if we can modify it. I just saw that version 3.0 is the target to implement my suggestion to include jpeg subsampling options. Thanks for accepting my suggestion. Any idea when 3.0 might be coming out? i`m new using this nomacs and i like it. It small, light and portable. I like that nomacs support frameless option to. Few requests about it, could you add options to allow picture to always stay on top? and options to allow image to view in certain fix ratio/size? when i use 2 or 3 frameless i want to place it in side/bottom screen/specific place, and i want it to always stay on top and can be display in specific/small ratio not always in original size, so when i check/compare my images i still can do other things to. In spite of the fact that I have the option uncheck still me one appears ”Menu” a few seconds again when I initiate Nomacs (Panels->Toolbars->Menu). I do not like this delay in hiding itself. I would like that it was something instantaneous. Might it do something in order that the Menu was not late a few seconds of more in hiding itself? Hopefully. In my opinion it is quite annoying. I like this viewer a lot. It offers good features and easy usability. But you really should be solving the bug about not ordering files. It just doesn’t order by filename, it seems random most of the time. BTW, I updated from 1.6.4 to 2.0.2 because of this problem. we are working on it. it is not included in 2.0.2 … in the current developer branch the sorting is better but still has problems with special naming. Hopefully in the next version we have a solution which satisfies all our/your needs. This project looks excellent, really nice way to display images. I would like a ‘double click’ to open a directory rather than rename it. are you talking about the File Explorer panel? If so, you can right click in the panel and uncheck ‘Editable’. Folders are then opened on double click rather than renamed. I am very very impressed with your Nomacs viewer. It is now my favorite and preferred viewer… so much so that I want to uninstalled Windows viewer, but it seems that since I’m using the portable version, I could not find a way to make it the default viewer. You have everything else… did I miss it ? I am a corporate consultant, and therefore I’m picky about organization. Your viewer is full of features that are just perfect for me. I like using the scroll wheel to change pictures without having to click on anything like other viewer do… or to dig into the system looking for the folder to open images… blah. Yours is just right. Now, if only folks got to experience what you have, and if they were to find it useful like I do, then this could go in useful directions for you. Thanks for being smarter than Microsoft. sorry for the late reply… Setting nomacs as default viewer does not directly work on Windows 8. If you register the extensions (Edit > Settings > File Filters) Windows will post a message that you have new apps which can handle the file opened from the explorer – there you can chose nomacs. This happens because Microsoft turned off the possibility for apps to register themselves (which is good from a user’s point of view). Hi are you aware that Norton AV deletes your programme as a threat if it is downloaded on a machine with Norton installed? no, we weren’t aware of that. Thank you very much for reporting. We contacted Norton and hopefully they will put nomacs on the whitelist. i got one little question: can i configure my default-saving-location.. so i don’t need so navigate from the temp folder to my picture-folder? !